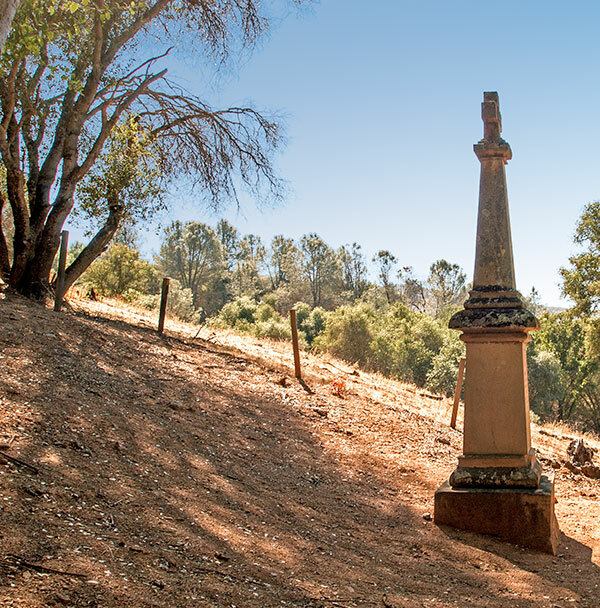 This pioneer cemetery was said to have been established in 1851. Most of the graves are unmarked - stones appeared over only three of them in 1936. This cemetery is located almost opposite where the town of North Branch originally stood, before the site was mined for gold. 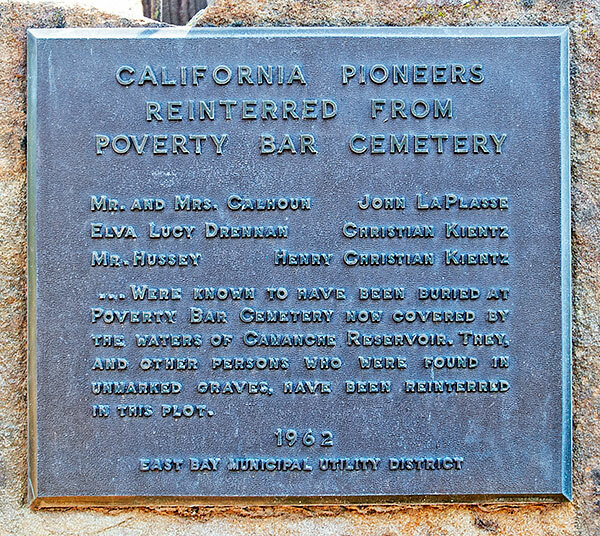 ...Were known to have been buried at Poverty Bar Cemetery now covered by the waters of Camanche Reservoir. They and other persons who were found in unmarked graves, have been reinterred in this plot.